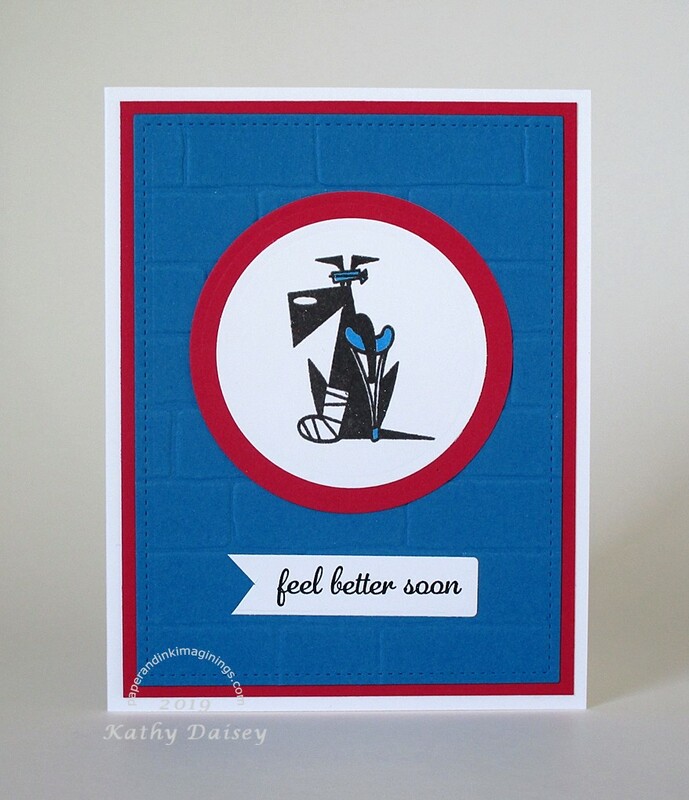 This sentiment is from an Avery Elle stamp set. I have been meaning to use it for a while – it is just perfect. Supplies: Stamps – Avery Elle, Stampin’ Up!, paper – Neenah Classic Crest Solar White, Stampin’ Up! 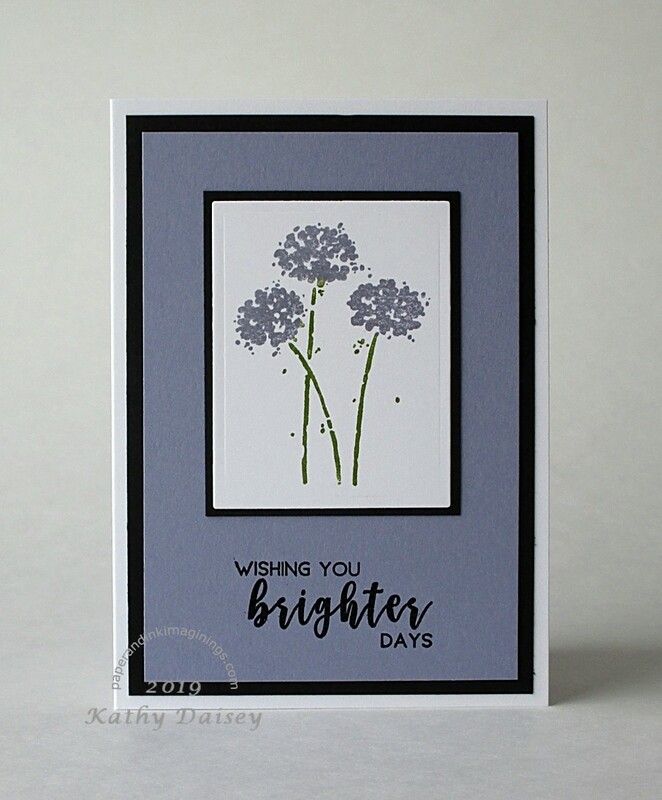 Basic Black, Wisteria Wonder (retired), inks – Stampin’ Up! Old Olive, Wisteria Wonder (retired), VersaFine Onyx Black, die – Spellbinders, embossing powder – Stampendous Detail clear. 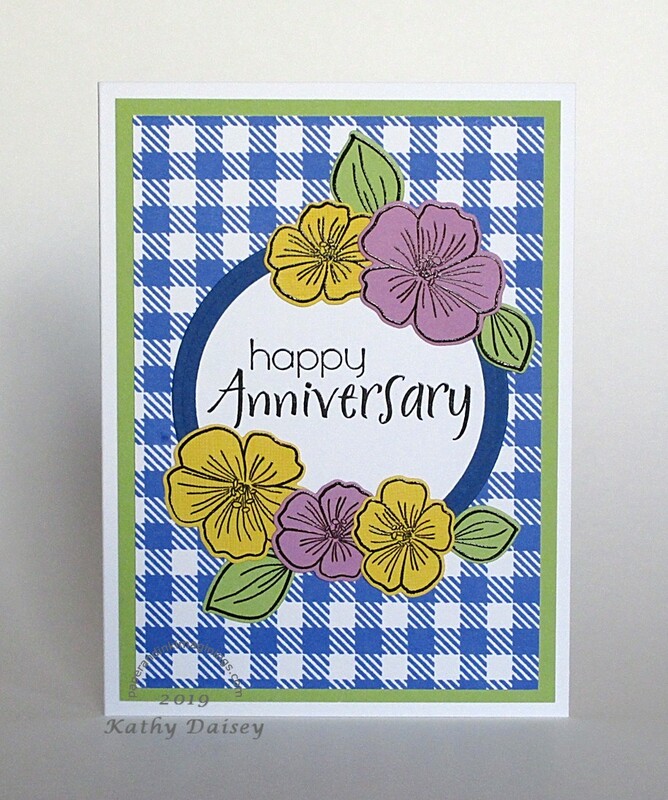 Categories: card, caring, note, sympathy | Tags: Avery Elle, card, Neenah, Spellbinders, Stampendous, Stampin' Up!, Tsukineko, VersaFine | Permalink. I found this colored scrap in one of my scrap folders. I am 99% sure I colored the image using a blender pen and ink pads. Supplies: Stamps – Hero Arts, Stampin’ Up!, paper – Neenah Classic Crest Solar White, Stampin’ Up! 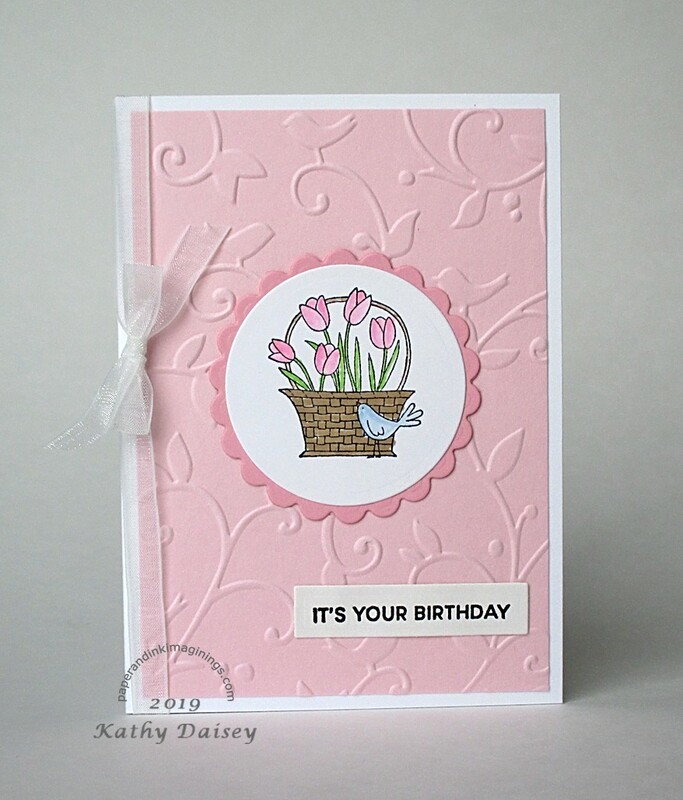 Pink Pirouette, Pretty In Pink, Shimmery White, inks – Stampin’ Up! 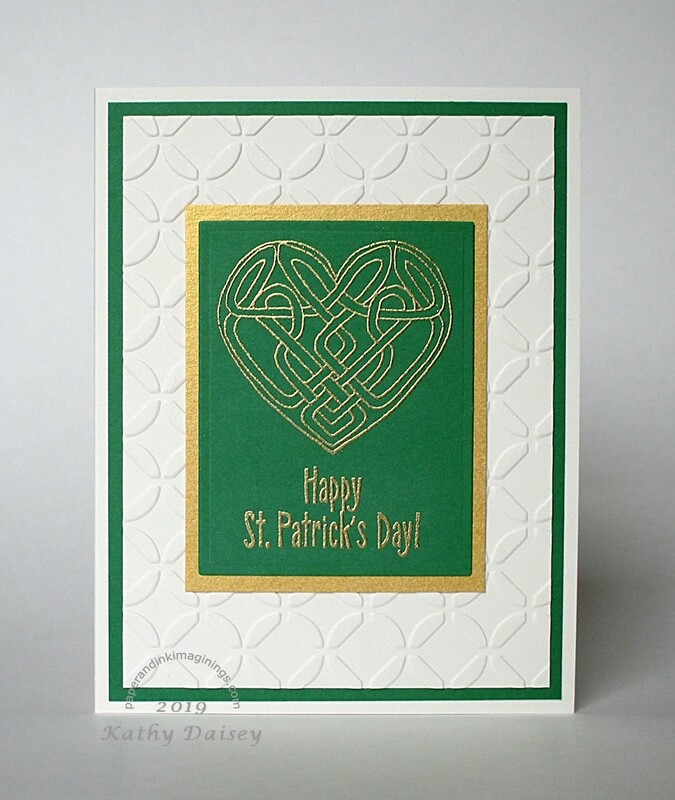 Bliss Blue (retired), Creamy Caramel (retired), Green Galore, Pixie Pink (retired), VersaFine Onyx Black, dies – Spellbinders, embossing folder – Provo Craft, embossing powder – Filigree Fine Art Powder clear, organdy ribbon – Offray. 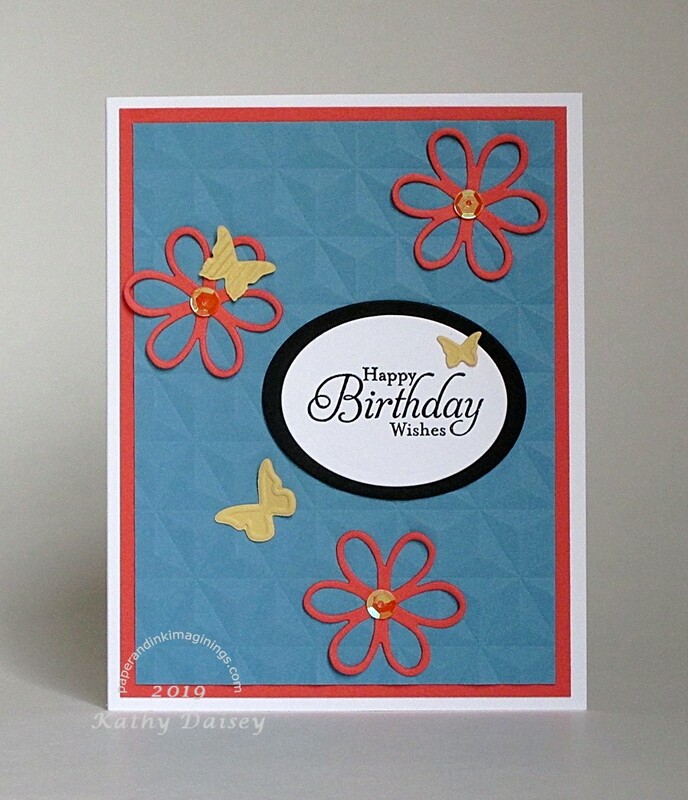 Categories: birthday, note | Tags: card, Hero Arts, Neenah, Spellbinders, Stampin' Up!, Tsukineko, VersaFine | Permalink. This card is the remade version of something I attempted to make in a rush last week. Have you ever put a project together and growled because something landed where you didn’t quite intend? Sometimes, the unintended is OK (or even serendipitous!). Sometimes, the whole project gets trashed because of that flaw. This time, I actually salvaged the pieces and redid the card. The two top flowers are too even for me. I had adhesive on the back of the white sentiment, and was hovering over the flowers trying to space them correctly, and I snagged the last one (top right) in the wrong place. UGH. But I put it all together anyway, thinking maybe it would not bother me so much when my frustration wore off. WRONG. I was able to blast the top of the card with my heat gun and peel off the sentiment and flowers without ruining the blue layer. I die cut another sentiment (I had stamped extras the first time), added a layer behind it, die cut new flowers and threw in a few butterflies and sequins. 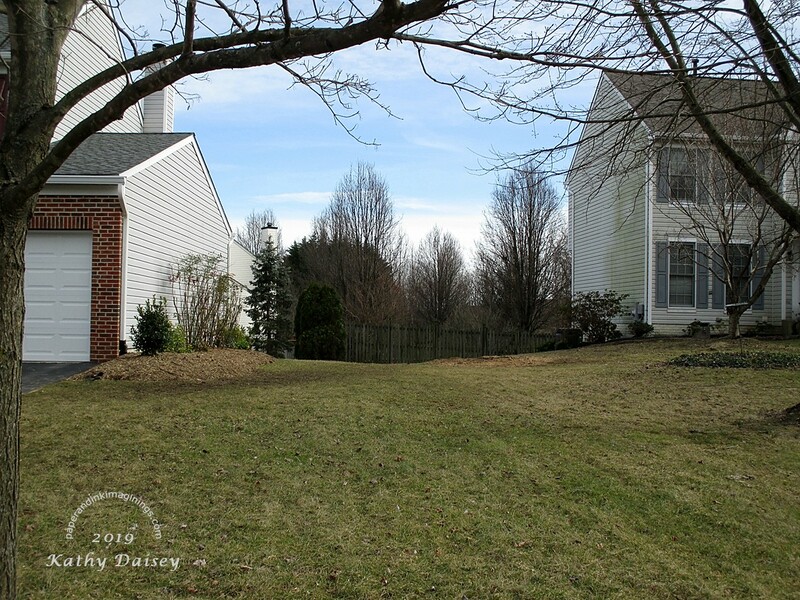 Tree update: Our neighbors had the 2 pear trees removed from between our houses yesterday. Supplies: Stamp – Stampin’ Up!, paper – Neenah Classic Crest Solar White, Stampin’ Up! 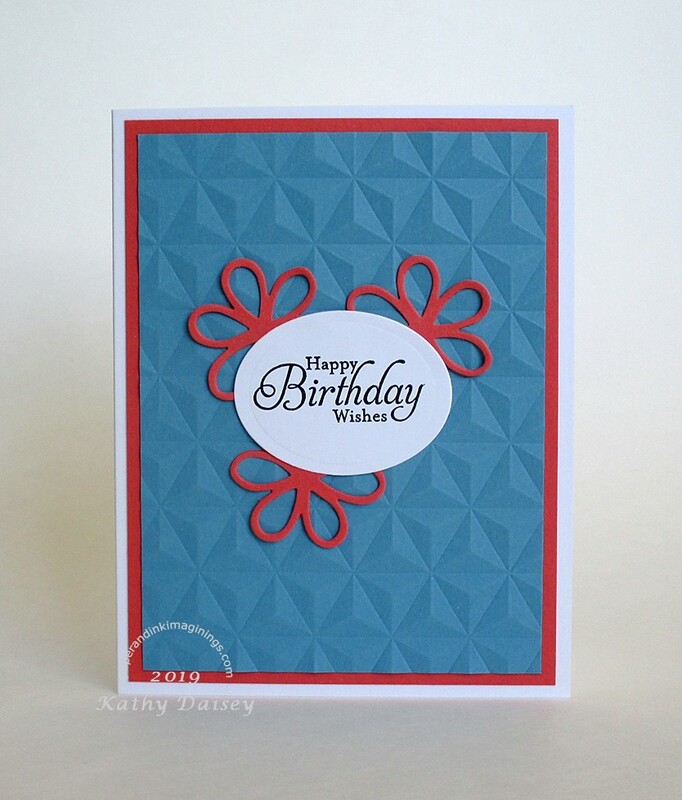 Basic Black, Calypso Coral, Marina Mist (retired), So Saffron, ink – VersaFine Onyx Black, dies – Provo Craft (flowers), Spellbinders (ovals), Stampin’ Up! (butterflies), embossing folder – We R Memory Keepers, sequins – Doodlebug Designs, embossing powder – Stampendous Detail clear. 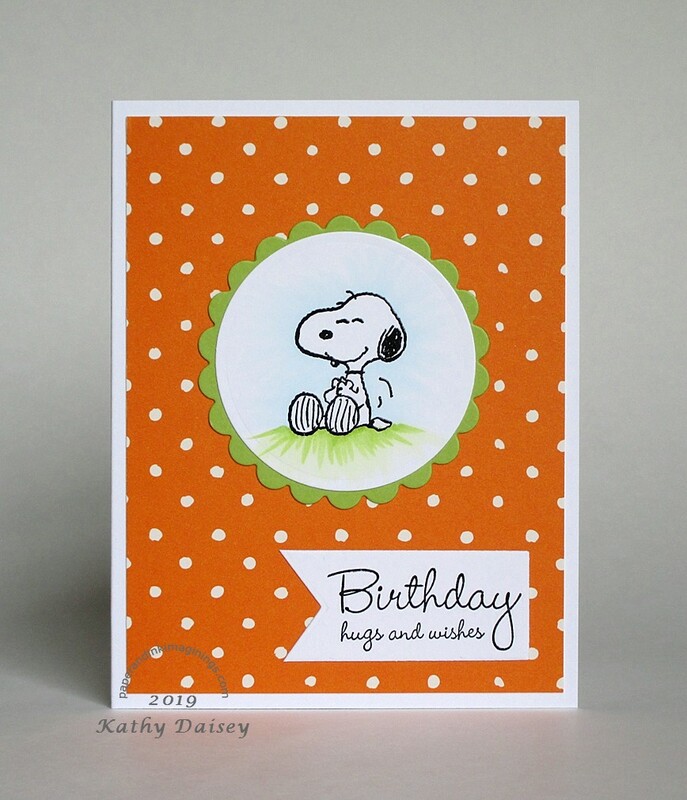 Categories: birthday, card | Tags: card, Neenah, Provo Craft, Spellbinders, Stampendous, Stampin' Up!, Tsukineko, VersaFine, We R Memory Keepers | Permalink.